Hanne Olesen-Nahman brings passion and experience to everything that she does. She began her journey into the world of high-end restaurants over 38 years ago and has almost done it all: bussed and waited tables, been a hostess, been a food runner, an expeditor, been a bartender, washed dishes, prepped food and cooked. Hanne worked at Harrop Restaurant in Milton, Ontario in high school for extra money and at Le Rendez-vous Restaurant in Toronto, Ontario to pay for travel and university – she attended the University of Toronto and graduated with an honours degree. Her dream to join the diplomatic service after graduation was stalled when The External Affairs Department of the Canadian Government stopped taking candidates – so Hanne continued to work her way up the restaurant career path for over 10 years at Le Rendez-vous Restaurant to management and traveled during the summer months to destinations far and wide. Hanne joined Ruth’s Chris Steak House in Toronto as an Assistant General Manager in August 1995, where she had the opportunity to work in marketing and advertising as well as restaurant operations. She was promoted to General Manager four years later. In 2004, Hanne was promoted to Vice President of Operations to look after the Greater Toronto area and the daily operations of both the Toronto and the Mississauga locations. In April of 2007, Hanne was promoted to the position of Executive Vice President of Operations overseeing four Ruth’s Chris Steak House locations, including two locations in San Antonio, Texas. Hanne was instrumental in helping the RCSH locations that she supervised to achieve countless awards. In 2004, RCSH Toronto won the #1 spot for a wine contest system-wide where they won Ruth Fertel’s Mercedes Benz as the grand prize. Toronto and Mississauga were honored in 2007 as the #1 and #2 Top Restaurants RCSH system-wide for shopper’s reports and guest experience. Other awards included the 2011 Restaurant of the Year Award for the RCSH San Antonio Concord location that was awarded system-wide. Hanne worked at Ruth’s Chris Steak House until March 2014 when she made the decision to move forward and to focus on her own businesses with her husband, Joseph. Hanne and her husband, Joseph own Lake House Restaurant in Vineland, Ontario which has been in operation since April 2002 and has become an institution in its own right in the Niagara region. In January 2010, they opened Stone House Restaurant in Burlington, Ontario. 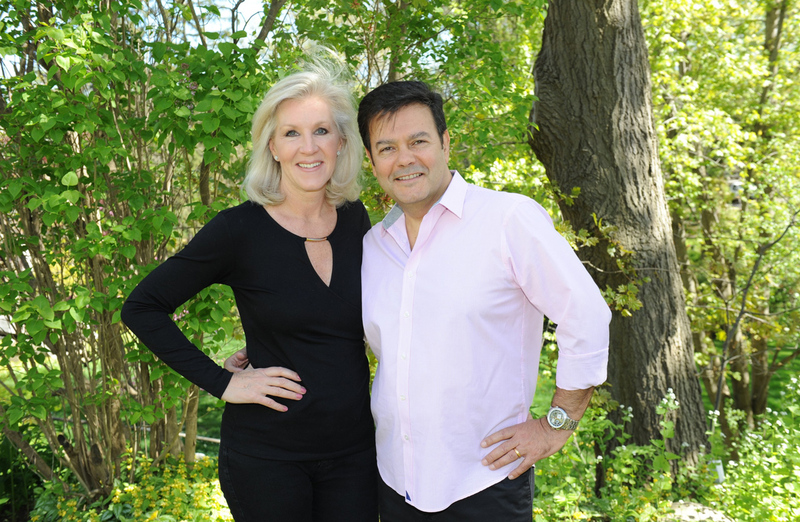 Joseph and Hanne have a combined 80+ years of experience in the restaurant field. Everything that they do, they do as a team. Joseph Nahman brings over 40 years of experience to the table. He began working in the restaurant industry at age 13, bussing tables at a restaurant in his home of Oostende, Belgium where his father worked as a line cook. He also spent time attending Ecole Hoteliere. Intensive training and work at the restaurant helped shape his culinary career. He has trained as Demi Chef de Rang, Chef de Rang and Maitre D’. It was this extensive training that shaped Joseph’s future. Working his way through the ranks has given him an extreme appreciation for what is involved in creating an ideal restaurant experience. “I did it all, as a busser, as a dishwasher, as a cook”. “I know all of the positions in a restaurant. When I go into the kitchen I can see what the guys are doing and I know exactly what they’re going through because I’ve been there”. Joseph added to his experience by working in Paris, New York, Honolulu and Bermuda. Bermuda was the first experience Joseph had working strictly in English. “That was the turning point in my life where I really lived in English- before that, I only spoke French. I was 28 years old”. Having trained extensively in European cuisine, it’s safe to say that Joseph carries some old school traditions. Running a kitchen and keeping the front of the house operating smoothly all require “Quality, Quality, Quality!” Joseph’s philosophy revolves around using the best quality ingredients and working with local products whenever possible. The menu has evolved over the years but favourite dishes remain. “we do change some items and the Chef has creativity with the daily specials and catch of the day but our core menu remains the same. We want people to come back and to enjoy a dish that they love”. Joseph’s international experience helped to create his vision for both restaurants : Lake House Restaurant in Vineland, Ontario, which opened its doors in April 2002 and has become a well known establishment in the Niagara region; and Stone House Restaurant in Burlington, Ontario.